If you want a free valuation on your home then make your way to the Mouse Price website. Simply enter your postcode, select your address and click Search and Mouse Price will give you an instant free valuation of your home. You can also view Land Registry sold prices for any area or postcode in the UK as well as be able to find thousands of properties for sale and rent. Whether you are a landlord trying to find tenants or you are simply trying to sell your home, you can advertise your property on this website for free. 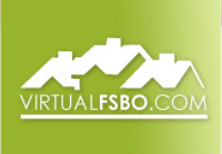 If you want to sell your home without having to pay some fees or commission then look no further than this site here. You can list your home on this site for free which will get it listed on other websites too and it will get seen by thousands of potential buyers. If you are the owner of a house and you want to sell it then take a look at this site here as you can list your home for sale for no charge. You can modify your listing at anytime and upload 6 pics of your home for sale too. This very impressive site has thousands of properties of all sizes advertised. If you are searching for a property you can register here for free and save any details of properties that you may be interested in to your portfolio.